It is the year 2093 A.D. The remains of humanity are struggling for survival in a harsh world. 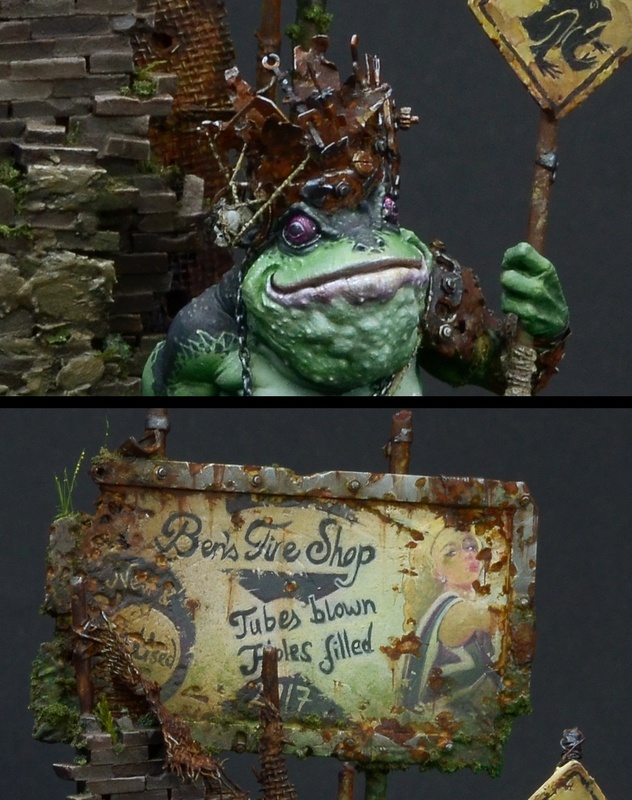 There was a little Toad once and he found this barrel full of nuclear energy drink and he drank. 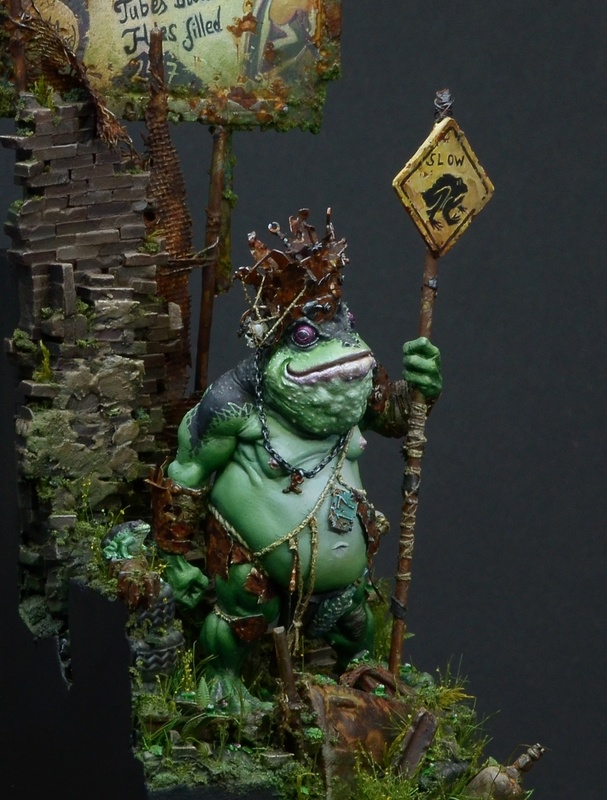 With the changes going on in his body and brain he started to rally the frogs and toads to rise. To rise above the last humans, to rise above their purpose and to learn to travel the world without fear of cars. 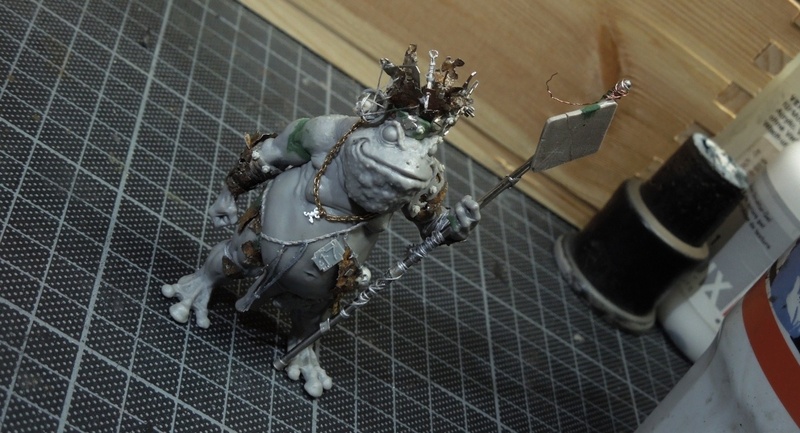 I had a lot of fun with Aradia's Toad King, sculpted by Allan Carrasco. Somehow I wanted to convert him and so I did. 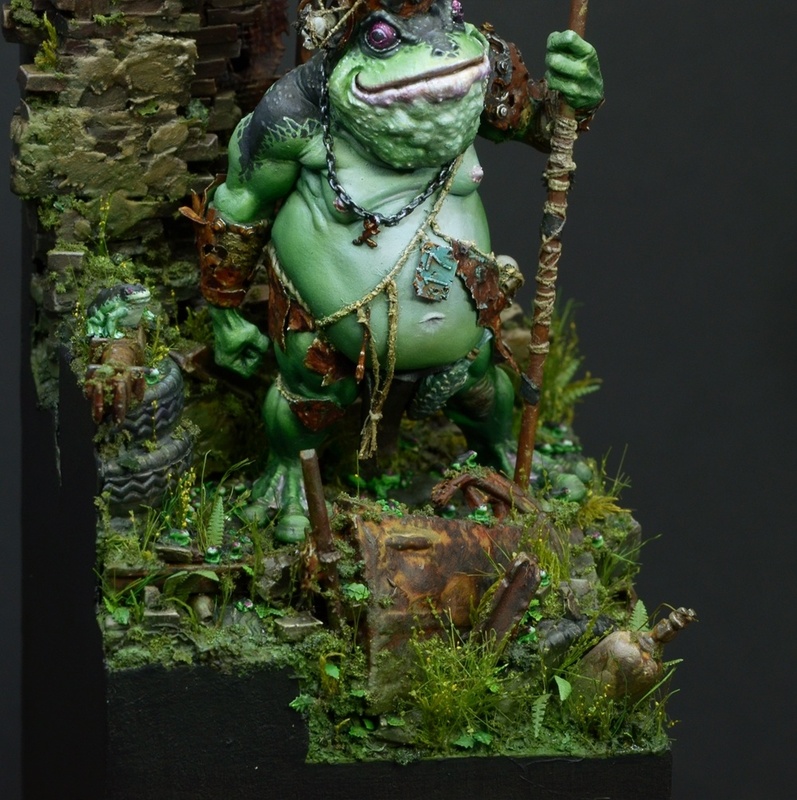 In the last photos you can see a WIP of the conversion work on the Toad and a WIP of the basework. I hope you like the project. Many articles about this project are already in preparation to hit MV. Quak! Keep on happy painting! Quak! Quakilicious thanks for your comment! 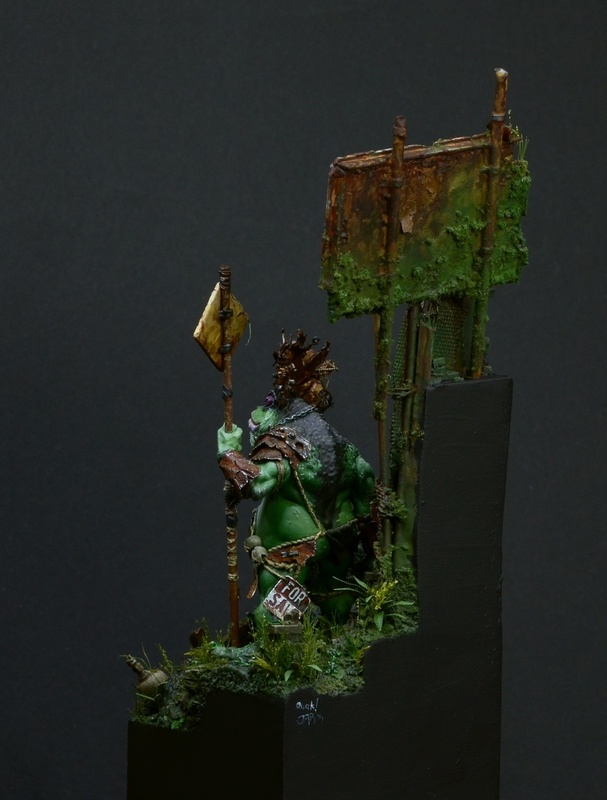 Your conversions and bases are always fantastic, lovely work man very very nice. I love the colours used. Thank you, Karsten. Happy that you like it! Freut mich, wenn die Kröte gefällt! 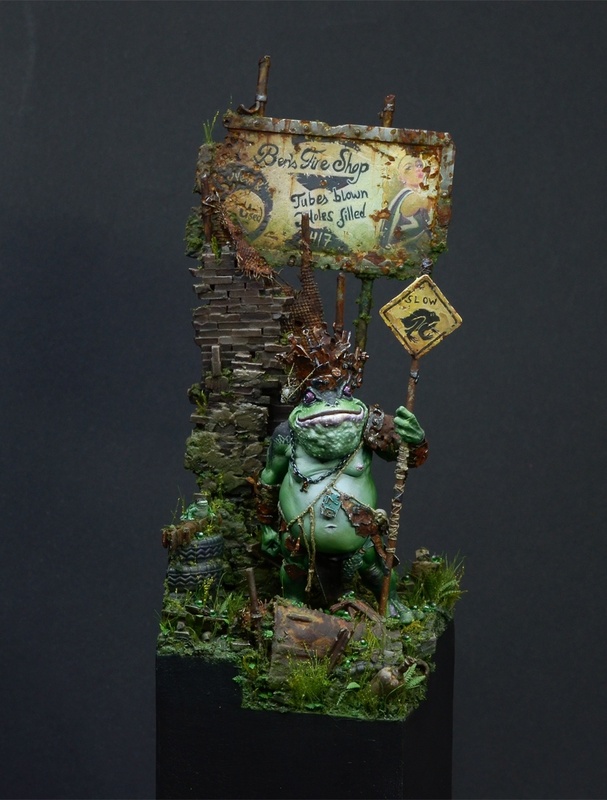 Nice paint work and a perfect “story telling” miniature…a perfect Roman’s work! Like the baseground so much too, with a lot of details and imagination! Pure gold! Thank you, Matthieu. Thanks for your nice comment, it means a lot. 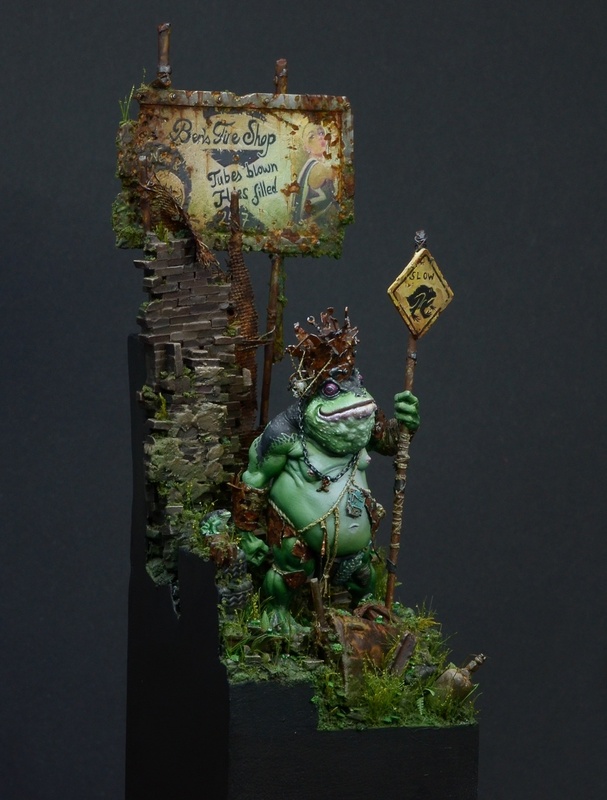 Excellent in every aspect, story, conversion, composition, groundwork and painting. Great job!! I bow my head in gratitude to your kind words. Thank you very much. 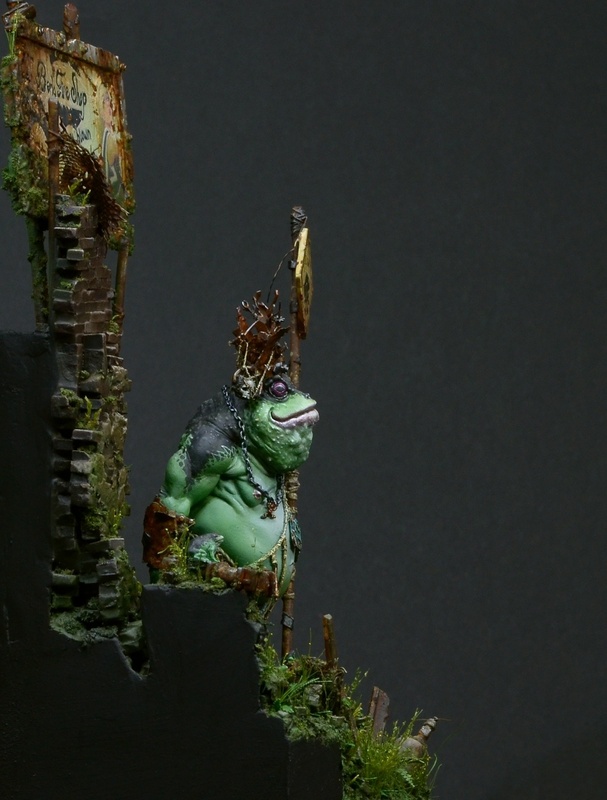 Honestly I had your great Toad bust on a printed on paper for inspirational purpose! Many thanks for the inspiration and your great work! Und mal wieder Lappat’ es hier gewaltig! Ich gehe mal kurz weinen. :) Super arbeit! It is all in your mind, all just in your head ... not me, quak! This is just amazing man!! love it!! seing your works is like reading novels in 30 seconds. A short novel then, eh? :P ... Thank you, Alfonso. I am happy that you think such of my work! Many thanks! Roman, j’adore le socle. L’ensemble est très bon. Merci, Fred. Le socle a également pris beaucoup plus de temps à compléter. just great attention to detail! loving the vibrant greens as well. What a marvelous work!! Roman, you are really Number One!! Not argue with that! Thank you, Sergey. I don’t want to argue with you about anything, just look at your arms, man! Thank you again for your kind words! 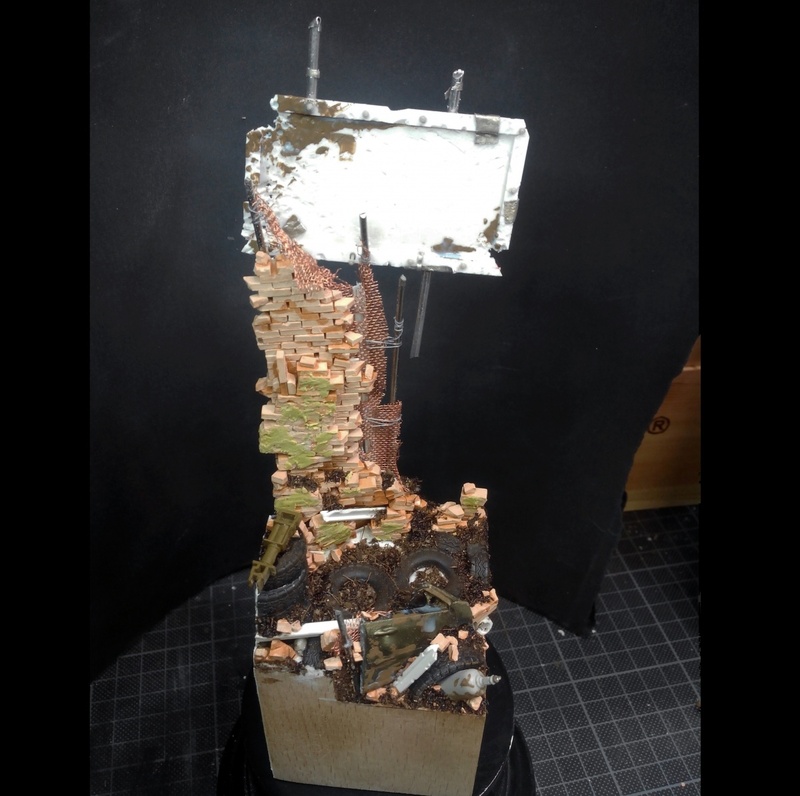 Amazing work and amazing base concept Roman Great job!!! always a pleasure to see your work Roman! amazing! 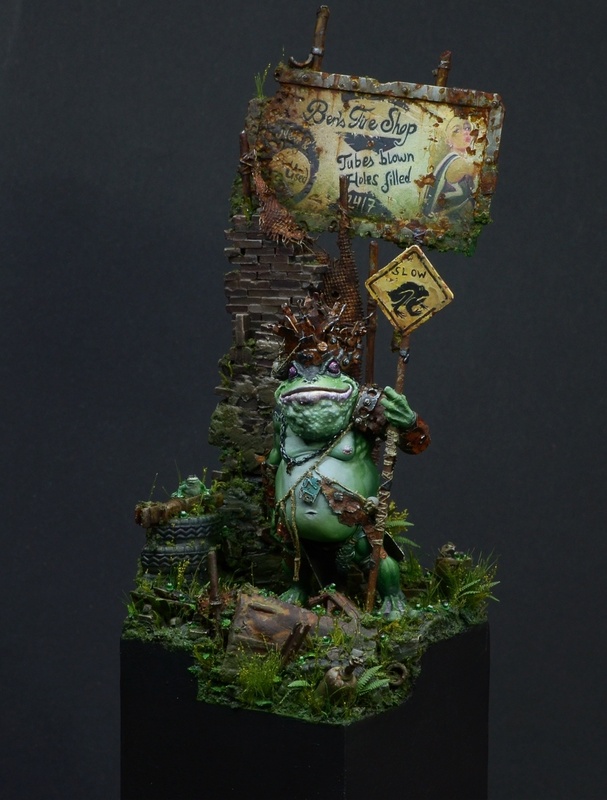 What a fantastic presentation of this beautiful mini! 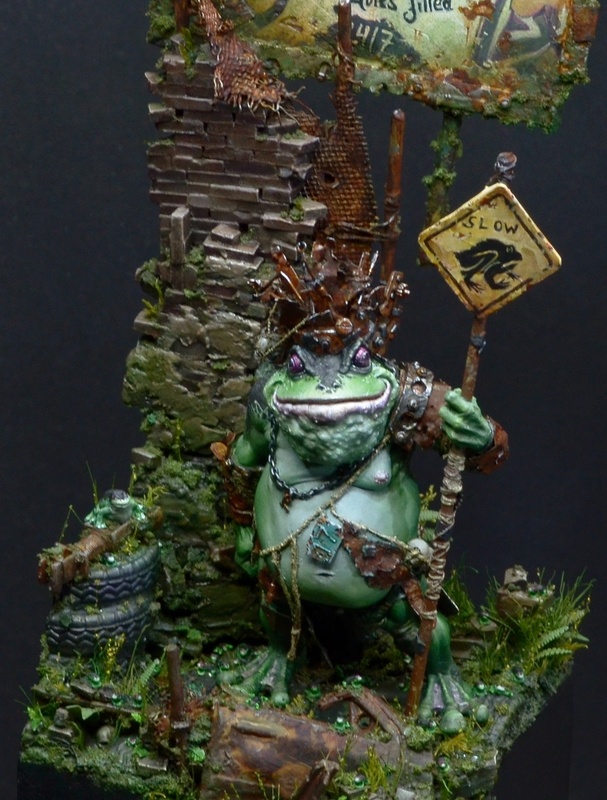 The base work is marvellous! Very inspiring! Amazing beautiful scenery- and paint job! Loving every detail! :) GOLD!